This past Wednesday, I got the exciting privilege of being able to sit in on one of the CLTL program’s meeting. Ever since I received this internship, I’ve been curious as to what actually happens at these biweekly events, so when I learned that one of the branches of the program met at UMass Dartmouth, I knew I had to check it out. Arriving an hour late due to my evening class, I was quickly ushered in and allowed to sit between the two men running that night’s meeting: Chuck Zalewski, a defense attorney from Fall River who has been with the program for over twenty years, and Wayne St. Pierre, a recently retired probation officer who continues to volunteer with the CLTL because of how strongly he believes the program can, as the program’s title says, change lives. Both men were running Wednesday’s meeting because the usual facilitator, Dr. Robert Waxler, was unfortunately in the hospital. We wish him a speedy recovery and our thoughts are with him always. The first thing I noticed at the meeting, however, was that it was by no means a classroom setting. When I had first heard that the program was based off of literary discussions, I immediately imagined the experiences I had had in my own college career, in which the professor would verbally poke and prod a classroom of twenty tired students, hoping that not only would someone eventually raise their hand but that maybe they had actually read too. This was not the case at the CLTL meeting. Although not every attendee had finished the book completely, the meeting was positively bustling with discussion. People were contributing because they wanted to, to the point where different voices were overlapping each other and laughter rung out in the small conference room. Never in my life had I imagined that a discussion about Hemingway’s The Old Man and the Sea could be so riveting. Interestingly enough, what also caught my attention about the meeting was that the questions posed by the moderators were not simply questions about the exact content of the book. Sure, parts of the discussion were based on the main character’s thoughts and actions, but often times Zalewski or St. Pierre would ask a question that extended beyond what was written on the page and depended entirely on reader interpretation. Did the main character go too far? Does his determination spell out a sort of death wish? Could his mind have been changed at any point? What will happen after the end of this book? That last question stood out in particular to me because it reflects one of Dr. Waxler’s beliefs about literature. Waxler says that a good story is like an iceberg, with perhaps 10% above the water while the other 90% remains below the surface. Anyone can read through a book and see the easily visible 10%, but the CLTL meetings encourage people to dive deep into each story and explore the other 90%, asking themselves questions that have no right or wrong answers but that are still based off the characterization and symbolism in the story. The attendees also seemed to have little problem with this more thorough and in-depth exploration of literature, since they had fascinating theories to contribute and would often pick up on topics to discuss that the facilitators hadn’t even gotten around to mentioning yet. Imaginably, it is through this process of uncovering the hidden 90% of each novel that allows for the CLTL program to be so successful. Started in 1991, the program was built off of the very idea there was a certain power within literature that could positively affect the way people think, feel, and relate to the world. This small inkling of an idea began just with Dr. Waxler and St. Pierre, and after convincing a judge to give their plan a shot, the CLTL has now grown to be the multi-faceted program it is today, truly living up to its name by changing people’s lives through the power of stories. For the next meeting, the new reading assignment is Always Outnumbered, Always Outgunned by Walter Mosley, in which the process of digging into that 90% continues. We know that literature, as the CLTL acronym states, changes lives. We know that reading a book has the power to transform the reader’s thought process, to strengthen empathy through traversing the minds of different characters, and to allow for readers to wholeheartedly and unabashedly relate to the stories on the pages they hold. However, none of this would be possible were it not for the processes that produce literature in the first place. Recently, I have been afforded the exciting opportunity to partner up with a writer who is currently working on a novel that is set to be published some time in 2017. The book details the experience of growing up in New Bedford, Massachusetts, and deals with themes of family, betrayal, loss, and all the other positives and negatives that build up to the grand, overall moment in time that we call a singular lifetime. However, this book is considered to be a fictional memoir, since the writer is embellishing the story of her own life to make it more suitable and dramatic for reading. One of the main differences between actual life and life recorded down onto paper is that writing can be edited. Writing can skip the boring parts of a person’s day and go straight to the fun stuff, highlighting and often times liberally adding to the moments people would want to read about. So, despite the undeniable fact that literature changes lives, capturing lives through literature is often a far less factual process. At its current stage, this book still has no binding, no jacket, and no cover. Instead, it is merely a large stack of 230 sheets of printer paper that take up an awful lot of space in my backpack. Still, it’s strange to think that this is where literature starts. At one point in time, the greatest book you’ve ever read has been nothing more than a stack of paper in an intern’s bag, the corners of the pages crinkled and bent while the words themselves are scrawled over with red pen. In this particular instance, I just happen to be that very intern, and the markings in red belong to one of the many editors I am working with. Reviewing the process of creating literature is honestly a sobering glimpse into how everything that has ever been considered “great” has to have come from humble beginnings. The writer who is determined to chronicle her experiences in New Bedford once had a mere inkling of an idea, but now she has over 200 pages and a secured publishing deal. The smallest of concepts always have the potential to blossom into something more, but these ideas can only grow if given the proper care. The entirety of the literary canon that stands to this day, from a stack of papers in 2016 to Lady Murasaki’s The Tale of Genji (the first novel ever written) in the 11th century, was once only a thought in a writer’s head, but now these stories have leaped from thought to paper to literature, where we as readers can experience these messages for ourselves. To make a contribution to this blog, please contact me either through my UMass email or through my Twitter. Hope to hear from you! Proving that Changing Lives Through Literature (CLTL) produces news-worthy results, the program was recently featured in two articles. In an article for news station WBUR, Deborah Becker highlights a recent CLTL graduation ceremony held in Dorchester District Court. Along with Becker’s description of how the program runs are quotes from those involved–both students and facilitators. Hearing from participants from both sides of the program reveals the secret to CLTL’s success. Facilitator Tam Neville describes literature as a “tool to help provoke thoughtful discussion and to develop relationships”. According to Judge Weingarten, a facilitator of the Dorchester men’s program, his job is to create a safe place for discussion, which is the key to the program’s participants making changes in their lives. As the students reflect on their readings, they relate lessons from the literature to their lives. Probation officer Pamela Pierce notes how the students learn from each other, changing their views of not only the criminal justice system, but also themselves–a key to them not committing new crimes after graduating from the program. Abby, one of the Dorchester graduates, praises the relationships she made and attributes the program for putting her on the college-bound track. This type of personal change is the basis of Elizabeth Svoboda’s article for DailyGood. Svoboda weaves together tales to discuss the importance of storytelling–an agent of transformation. CLTL is described in the article as “proving that well-told stories can also re-orient the lives of adult offenders”. The connections that can be made between literature and our lives is clear in the example Svoboda provides of a student connecting The Old Man and the Sea to his own struggle with drugs. There are lessons to be learned for all of us, not just the CLTL students. And as made evident by all those who participate in CLTL, discussion is the key to unlocking these lessons. The conversation created by Becker and Svoboda are important and align with the goals of this blog–to sustain conversation beyond the classroom. Let’s continue the conversation and keep learning from one another. The following is a handout I provide for participants on the first meeting to help them think about literature and how the program runs. What they receive is the numbered items, and the text below each is usually what I explain as we go over the handout. 1. Learning is a building exercise, not a filling station. The research increasingly shows that one’s approach to learning can be pivotal to their ability to learn. To this end, it’s important to understand that learning is something they can continue to do throughout their lives and that their mind is not necessarily finite. Basically, so long as they maintain a belief that they can learn, they will continue to learn. I make this point first because we often carry the limited view in our heads about our learning abilities and I hope to help them break negative expectations about their ability to do well in this program and life in general. 2. 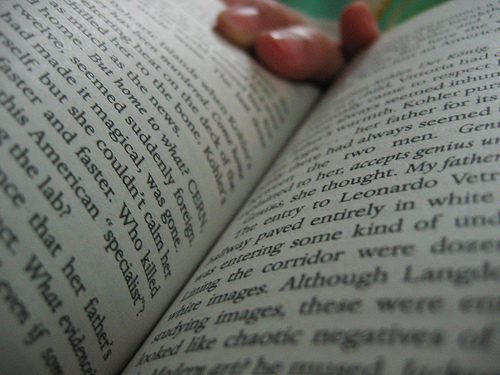 Reading fiction further develops your empathy and understanding. Reading is often the closest thing we have to being put into someone else’s mind or to learn another’s point of view. By immersing ourselves in fiction, it helps us to stretch our mind and understand the world around us. Emphasizing the importance of empathy, I go further and explain that it’s more than just a “feel-good” emotion to connect with other people. Being able to understand and connect with other humans allows us to make better decisions, as well as present ourselves better in situations . 3. All stories are 1 story. This seems strange, but I’ve taken tips from Thomas Foster’s How To Read Literature Like a Professor. He says all literature is telling the same story, and that story is the human condition. At the cornerstone of every story is an author attempting to convey some truth or element about what it’s like to live in this world as a human—even (and especially) when the story has no humans in it. Therefore, if all stories are about the human condition, it makes it easier to understand why there is so much literature and why we can interweave all the readings in the program. 4. All stories are a mystery. No matter the genre, all stories are a mystery. The mystery is determining where the author is leading the reader and why. I encourage participants to think about the stories in this way because just like an advertisement, the author is trying to sell us something. Instead of selling us products, they are selling us ideas and we want to be quite aware of what we are being sold. To do that, we have to be constantly reading and questioning the story. This also comes from Foster and his discussion of intentionality in literature. I explain to the participants that nothing in a piece of literature is an accident. When bad things happen, they didn’t happen accidentally. The author chose it to happen, and in choosing things to happen, he or she is communicating something about the story’s purpose. Dying of heart disease is different from being crushed to death by a piano, which is different from being struck by lightning. Each might tell us something different about a character and his or her role in the story. I am constantly trying to guess what is going to happen next and I’m wrong at least 75% of the time. I tell the participants this so that they understand that the guessing game in literature often goes wrong, even for people well-versed in literature. Getting it right isn’t the goal—continuing to guess is. The guessing means that the reader is thinking, projecting, and ultimately, immersed in the story enough to want to think about where it is going. It means the reader will get more out of the story. 6. Read the Intro sheet. For each reading, I provide an introductory sheet that identifies the author (often a picture too), publication information, trivia, some background about the author or writing, other good pieces by the author, and other authors that readers might enjoy if they liked this story. Most importantly though, I include an essential question. The question is vague enough that it doesn’t give away much about the plot, but specific enough that readers can have it in the back of their minds while they make their way through the story. It’s a useful way to prime focus and attention so readers get the most out of the story. 7. Re-Read the story. Always. Our first encounters with stories are usually attempts to wrap our heads around the plot. If we want to get more (and for a program like this, getting more is beneficial), then re-reading is useful. It’s also good because we pick up things that we missed and it can help to clarify things that we were confused by. We are much better listeners than we are readers. In part, that’s because we have been listening more often and longer than we have been reading. Reading a text can be challenging in many ways but one way to make it easier is to read it aloud. This doesn’t mean standing up on a table and shouting it to the masses, but it can mean mouthing the words under breath. Hearing the words can help to make sense of them in a way that otherwise might be inaccessible. It sounds strange but in addition to reading aloud, it might be useful to read in an accent. Adding an accent (I often like English), can provide an element of tone that can provide additional meaning to the text that reading flatly might not produce. Furthermore, by adding an accent, it requires more attention and thus reinforces the content in a reader’s mind. 10. NARPH! Notate, Actively Read, Paraphrase, Highlight. I often reiterate the importance of physically interacting with a text. Doing so makes the reader a more engaged reader and allows for the reading to stick longer in his or her head. Additionally, it means when the reader re-reads or comes to the meeting, he or she can more easily move through the reading with clear markings around things that are of interest or importance. That’s my tip sheet for participants! What kinds of tips do you provide to your participants? What would you add from this list? What would you borrow? Lance Eaton is an instructional designer at North Shore Community College, where he also teaches courses in American Literature, popular culture, and comics. He writes for several magazines and websites. He also serves as a social media consultant for several companies. His musings, reflections, and ramblings can be found at his blog. You can find out more about him on his website. Could Writing Your Own Story Help You Sort Out Problems? Many people will use literature in order to find solutions to real life problems. Stories involving similar situations have a way of lending insight to problems we face on a daily basis. For those who are unable to adjust to social changes or opposition, reading about them has a way of making emotional and mental connections. Along with reading about these circumstances, could writing your own story help you develop a deeper connection to how you can resolve problems in a healthy way? First-Person Narrative – Writing in the first person provides the reader with a sense that the story is being told from the individual experiencing the problems. When you read your own material based on true situations, you step outside of yourself and gain a different perspective of your own thoughts. Even if you change the names and places in order to protect others, the entire experience could create understanding beyond what someone else can try to explain to you. Not only are you processing the information from your own point of view, you can then examine yourself as the narrator for the story. Third-Person Storytelling – One of the most common methods of writing is the use of a third-person point of view. This is when you are telling the story of someone else. This can help you in the same method as mentioned in first-person as you are constructing the story based on your own experiences. Using this method of writing can disassociate you from the situation. However, reading over your own work can put things into perspective based on what your characters perceive. How would each person in your story react to the actions your main character has committed? Are you able to put yourself in their shoes in this manner? Character Development – One of the hardest parts about writing your story as a form of therapy is the understanding of human emotions within others. You need to have a sense of empathy in order to really give your characters life. While you may think this is absurd, it can greatly help you comprehend the consequences of your actions. Your behavior impacts more than just yourself. Each time you make a decision, everyone around you is affected – and more consequential actions could involve the people around those individuals. It could be a detailed interconnecting web that can alter the lifestyle of so many people. Honesty – Another difficult aspect of writing your story is the ability to be honest with yourself. You can lie to others if you wish, but you can never lie to yourself. Writing your story in an honest method is the only way to really connect to the issues and make progress towards sorting out your problems. It takes a great deal of courage in order to look inside oneself and realize the problems he or she has. You are the only one that can truly sort out what is going on inside yourself. As long as you are honest with yourself, you could gain a great deal of wisdom to help overcome virtually any situation. Many people will keep journals of their lives in order to express their emotions about situations throughout any given day. It is one thing to describe a day in this manner, but it’s completely different when you’re telling a tale with a solid plot that you need to address. Even if you don’t plan on showing your writing to everyone, at least keep it for yourself to help reflect on problems you face throughout your life. Ken Myers is a father, husband, and entrepreneur. He has combined his passion for helping families find in-home care with his experience to build a business. Learn more about him by visiting @KenneyMyers on Twitter. The following was written by Shari Randall for the “Writers Who Kill” blog. Can a paperback copy of Russell Banks’ The Sweet Hereafter do what jail cannot – change an offender’s life for the better? Readers know that books can take us to other worlds, provide entertainment, information, insight, solace. Now there is evidence that literature can also transform the lives of people in the justice system. The Changing Lives Through Literature (CLTL) program was created in 1991 by UMass-Dartmouth professor Robert Waxler and his friend, Bob Kane, a judge. Kane was fed up with a “turnstile” justice system that saw the same people commit the same crimes as soon as they walked out the jail door. Waxler was determined to test his belief in the power of literature to reach places inside the minds and hearts of offenders where real change could take place. New studies support Waxler’s hypothesis, showing that among other things, reading helps develop empathy, and that increased empathy can lead to changes in behavior. The original CLTL program included eight men who had 145 convictions, many of them felony convictions. Waxler wanted to test his program with “tough guys” who would prove that he hadn’t stacked the deck with more highly educated, less dangerous participants. At the end of the program, the tough guys’ recidivism rate was only 19 percent, compared to 45 percent for the general prison population. The results were impressive, but Waxler said that the statistics were not what interested him. He knew the program was working when one young drug dealer told him of his excitement at reading Jack London’sSea Wolf, and how his newfound love of books led him to start reading to his three-year-old daughter. How does CLTL work? Offenders serve part of their sentence by meeting in small groups to discuss books such as The Autobiography of Malcolm X or Just Listen by Sarah Dessen. These and the other books chosen for the program have characters that face serious choices and issues. The most unique part of CLTL is the participation of members of the legal and law enforcement communities. Participants could find themselves talking about Langston Hughes’ poems with a judge or a probation officer, and a college professor facilitator. By sitting around a table, listening to each other, participants feel valued for their ideas, not judged for their crimes. Participants see each other as human beings, not as statistics or faceless uniforms. CLTL programs are in place in 14 states and have been adopted in the UK. One longitudinal study of 600 CLTL participants in Massachusetts showed a 60 percent drop in recidivism for those who completed the program and a 16 percent drop for those who did not. In cases where participants reoffended, there was a significant drop in the number and severity of the type of crime committed. These are better results than many more expensive programs, and the program has been particularly effective for juvenile offenders. With U. S. Bureau of Justice statistics stating that prisoners cost U. S. taxpayers more than $70 billion and the New York Times reporting that 1 in 100 Americans are currently or have been in the criminal justice system, we need ideas and programs like CLTL. Compare $70 billion to the cost of a box of paperback books, a facilitator, and an hour a week around a table in a library. As the CLTL webpage states, literature has the power to transform. Yet, one article I read stated that CLTL has been a “hard sell” to government officials, who doubt the effectiveness of a literature based program. You have to wonder. Why would states prefer to spend billions on jails instead of buying a few boxes of books? Is there a book that changed your life? Literature and the human condition have a relationship that began with the genre’s founding. A single work’s ability to resonate in our thoughts, inform our actions, and shape our lives is a global phenomenon intrinsically developed through the evolution of storytelling, that has been honed into an exceptional tool in the novel. As fiction pertains to the human condition, many of its finest examples explore mankind’s darkest qualities, willing readers to step farther into a darkness that plagues the psyche. The greatest questions posed by the novel demand to be answered. And once we comprehend the work’s implications, we are subsequently altered for our efforts. If you have not read the works below, consider placing them on your reading list. While unrelenting, they may change your life. Set in Russia during the late 1800s during an economic and social crisis, Crime and Punishment examines the importance of morality in a climate where the law’s influences have faded. Raskolnikov, the protagonist, commits a horrific crime in the hopes of proving, to himself, his country’s laws are not applicable in a moral sense. After his heinous crime, Raskolnikov searches for redemption, which he eventually finds in Sonya, a young prostitute, who he confides in. It is a dark tale, but one with a powerful message: a man or woman cannot simply do whatever they wish without consequences. It is not a story without redemption, however. 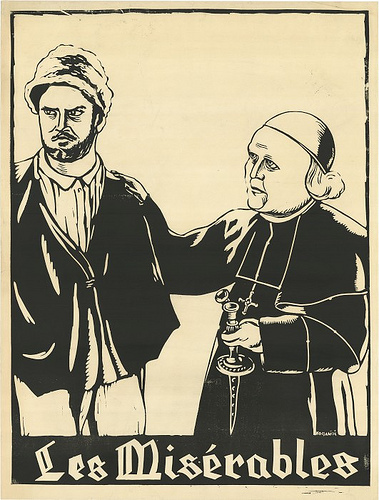 Even as Raskolnikov suffers, he finds eventual peace in confession and imprisonment. On the surface, it may seem merely a cruel tale. However, Heart of Darkness flourishes in its understanding of man’s many faults while exploring the horrors that accompany leadership. Marlow begins an excursion in an African jungle where he is greeted by a cast of characters who have abandoned civility in favor of survival-based methods of living. Marlow must confront Kurtz, a man who manages a dock in the jungle and inexplicably governs the nearby tribe with a ruthless, Machiavellian style of leadership. 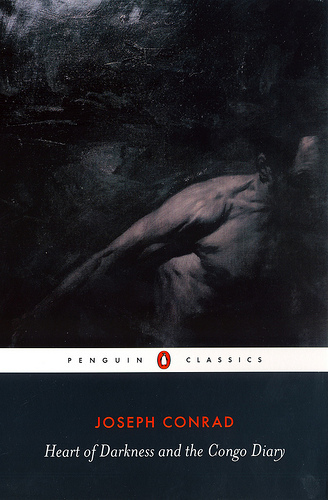 While potentially problematic due to several racist themes, Heart of Darkness unabashedly delves into the horrific nature of a man’s will to survive in the harshest physical and emotional conditions, and leaves the reader with an unnerving question: What, precisely, would you have done in the heart of darkness? The most recently written novel on this list, The Road is nevertheless a captivating bridge between literature and the human condition. 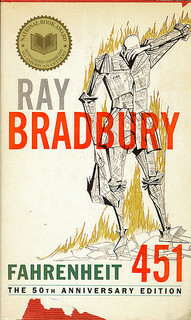 Set in the increasingly popular post-apocalyptic wasteland of the United States, the story follows the trials of the man and the boy, archetypal representations of a protective father and his meek, naive son. A unique study of the individual, where the man is realized as a survivor first and foremost, the man holds onto ideals of the world before, but does not utilize them. Unbeknownst to himself, the man has abandoned his country’s laws and has reverted to a more primal state. After realizing his change, the man, and the reader, try to cope with a lawless reality and an existence where the individual is truly responsible for his or her own actions. The prevalence of the disturbed permeates in these novels, but their messages are important, and they grasp at the reasons for laws, normalcy, and the nature of the human condition. These are novels that ascend the passage of time and strike at the very notions of what it means to be human. Michaela Jorgensen is an English teacher that writes all about the creative arts and education. 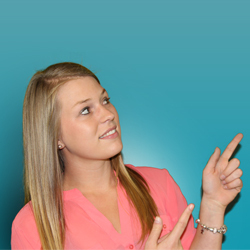 Her recent work is on the Top 10 Online Colleges for aspiring teachers. If you love literature, may I suggest you read the unabridged English translation of Les Miserables by Victor Hugo—yes, all 1500 pages; that is unless you want to skip the fifty plus pages describing, in oozing detail, the extensive French sewer system. The work is a tour de force of literature, reflecting the optimistic 19th Century view of redemption and the social struggle between justice and mercy. Although the setting for Les Miserables is early 19th Century France, its message is timeless. It connects with the reader on a primal level; holds up a mirror and says, “This is who you are.” Change the time and the setting and the entire novel could take place in present-day Chicago. In my criminal defense firm and in my interactions with prosecutors and judges, I encounter different variations of Javert, Jean Valjean, and Bishop Myriel every day. Victor Hugo’s characters seem alive and well. I often represent Jean Valjean in court. I glance over at the prosecutor. I know him. He is Javert. I have a struggle on my hands. I look at the judge. She is a Bishop Myriel. Despite everything she has seen, she hasn’t lost faith in humanity. She wants to extend mercy but a congress of Javerts has tied her hands with mandatory sentences. The police arrested my client for allegedly “stealing a loaf of bread.” Now he could face ten years in prison without parole. I like it when I know people who have read Les Miserables. I am able to describe the criminal justice system with just a few words. For instance, if you haven’t read Les Miserables, the above paragraph might seem like gibberish. One area of law that sometimes feels like it has been hijacked by Javert, is DUI law. From the initial stop to the automatic suspension of your license and arraignment, the stern face of Javert is there to greet you. Forget the fact that you are innocent. If you were arrested, you must be guilty. I sometimes try to explain the typical DUI stop to people in a way that allows them to understand how questionable that procedure actually is. I find that Jean Valjean’s statement in defense of Champmathieu actually describes a DUI stop quite well. “If I speak, I am condemned. I believe two places where humanity comes face to face with itself are the battlefield and in the courtroom. I haven’t been on a battlefield but I often find myself fighting a real war against people who are screaming justice, when mercy may be the solution. The value of literature like Les Miserables is that it allows people to see the world differently. The criminal justice system, as I mentioned above, is a stage where humanity reveals its true self. I am front row center to the future of our race. Great literature, whether it was written 200 years ago or yesterday, will help shape that future; but only if we open a book or at least download it to our iPad and read it. If we continue to allow our time to read great literature give way to video games and action movies, future generations may find themselves in a state of moral confusion akin to Javert looking down at the river Seine. If you don’t know what I mean by that, I know a good book you can read. Joe Suhre is a DUI attorney and principal of Suhre & Associates in Chicago, IL. He received a Criminal Justice degree from Xavier University and worked for 6 years as an auxiliary police officer. He later received his Juris Doctorate from the University of Cincinnati. Dystopian societies overrun by vampires, androids and zombies have been infecting our brains with late-night, page-turning cliffhangers. Unforeseen heroes and “knights in shining armor” charm our daydreams and engage us as we hang on to every image and detail. In a world full of blockbuster book series–Twilight, The Hunger Games, Fifty Shades of Grey, and Harry Potter–people everywhere are buzzing about the rush you get from reading a book. Why not go back then, and shed some light on those who started this whole science-fiction and fantasy craze? Believe it or not, classic authors have been toying with these same subjects long before ideas of new societies and worlds became mainstream. These “originals” were all at one point were considered “taboo” because their content was so avant-garde. If you like what’s hot today in literature, you should absolutely crack open some of these classics. They will not disappoint. 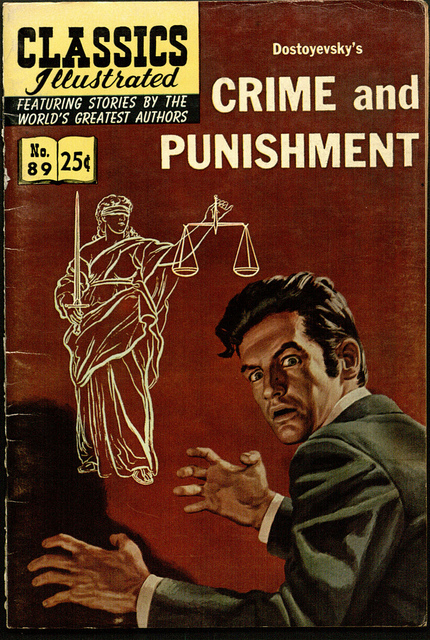 Banned Books Week is typically held the last week in September by the American Library Association, and this classic was banned due to its questionable themes and language. If you’re interested in reading about societal pressures and the fight for freedom of expression and intellect, this is the perfect book for you. Guy Montag, a firefighter trained to burn books, comes across a young girl that changes his world forever. As she shows him a life full of free thought and beauty in words, he begins to see a world outside of government control; a world full of love, freedom and hope. Coincidentally enough, Orwell wrote this classic in 1948, prophesying the future and what he envisioned the world to be in 1984. He invented the idea of “Big Brother” and how the government can control a society and the ability to have free thought. This is a great read that paints a picture of concepts way ahead of his time. The story follows a lower-class man, Winston, who works at the Ministry of Truth altering historical events to meet “The Party’s” needs. He receives a strange note from a young girl that says “I love you,” and he begins to question his place in the world. Writing his “crimes” or thoughts in his notebook, his oppression changes from subtle to oblivious. 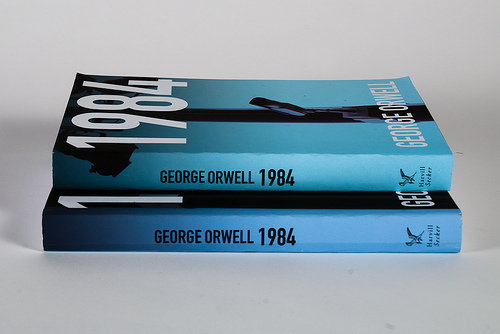 Another portrayal of human independence and freedom, Orwell captivates his audience at each page turn. Definitely not the typical romance novel, this classic play really captures the impulsive side of love and puts a satirical twist on “soul mates.” Shakespeare comments on how blindly and easily humans fall in love by showcasing a mash-up of love triangles that will confuse even the reader. However, with his fun quips, the characters extreme personalities will be sure to keep you in stitches. Contrary to the popular story of the horror movie giant, Shelley’s Frankenstein monster has a completely different outlook on life. Born into hatred and destruction, this novel commentates on society’s focus on appearances. Through the monster’s journey in understanding his place in the world, he is betrayed and cast-aside by society, allowing the reader to sympathize with him and see that he is truly a misunderstood creature. Shelley brings to life something we can constantly learn from today: humanity. Even though our classics have a date that sets them back in time, they are timeless. The values and lessons that these books teach their readers are even relatable in the 21st century. Not only do they educate us on the value of life, independence, and the human spirit, they are some of the most entertaining reads ever written. So when the buzz for the newest series dies down, pick up one of these novels. You’ll be surprised how able they are to satisfy your reading cravings.